Keith, Chris,, Roth, Dieter T.,Hurtado, Larry W.,eds. 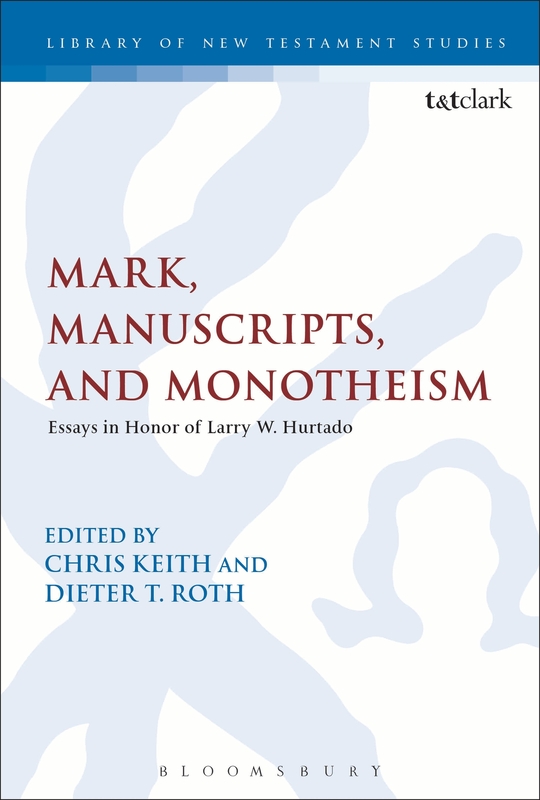 Mark, Manuscripts, And Monotheism: Essays In Honor Of Larry Hurtado. : . Print. edited by Chris Keith and Dieter T. Roth. London ; New York : Bloomsbury T & T Clark, 2015. Library of New Testament studies ; 528. RELIGION / Biblical Criticism & Interpretation / New Testament. | RELIGION / Biblical Studies / Jesus, the Gospels & Acts. | RELIGION / Biblical Studies / History & Culture. | RELIGION / Biblical Studies / Exegesis & Hermeneutics. | Bible. Mark - Criticism, interpretation, etc. | Hurtado, Larry W., 1943- | Festschriften - Hurtado, Larry W.